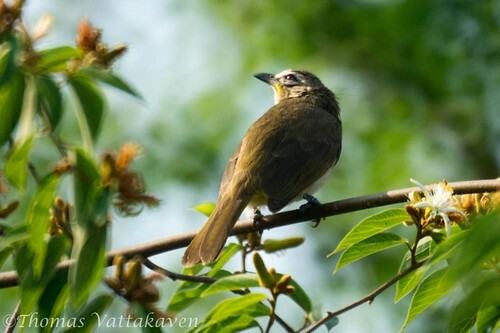 The White-browed Bulbul, Pycnonotus luteolus, is a member of the bulbul family. It is is found only in India and Sri Lanka. 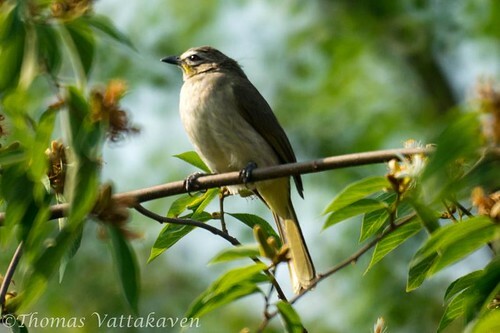 It has olive-grey upperparts and whitish underparts. This species is identified by the white supercilium, white crescent below the eye, and dark eyestripe and moustachial stripe. The beak is black and the legs are black or grey. The eyes are deep dull red or blood red. 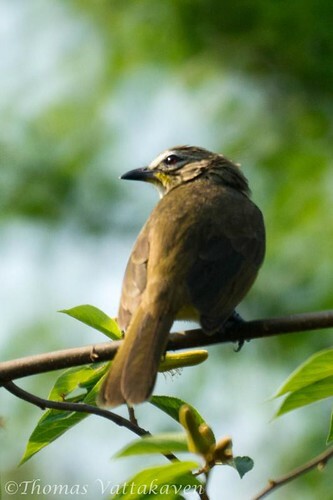 The males and females are similar in colouration. 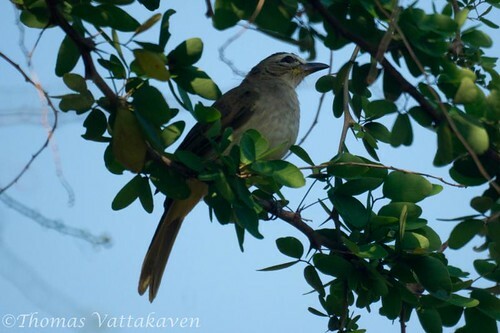 It is a noisy bird whose presence is often heard before it is seen due to its loud calls. It mainly inhabits open scrubland. 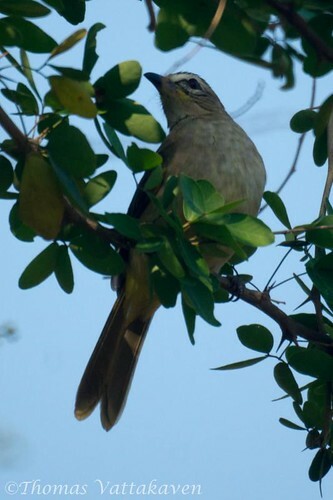 It is usually observed jumping from branch to branch and from tree to tree, making loud calls. It usually does not descend to the ground. 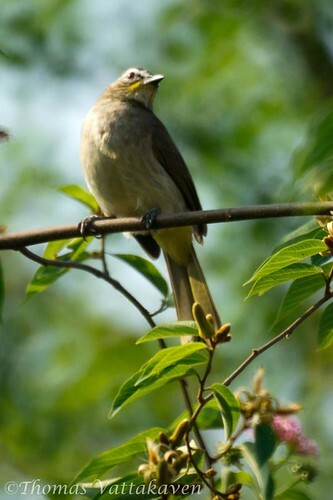 It feeds mainly on small berries and soft fruit, but are also known to take nectar and insects. The breeding season is from December to June but occasional nests can be observed in other months too. The nest is a neat little cup, loosely constructed with thin twigs on a fork of a branch, often about 1 to 3 meters above ground level.